MUMBAI: Defending champions Minerva Punjab FC are just one step away from their second Nike Premier Cup title in as many years. 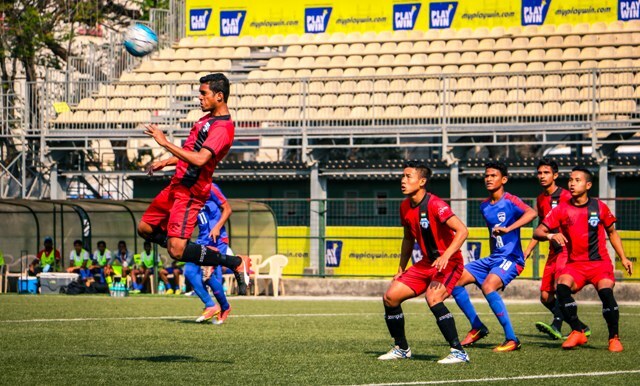 After carving out a close 1-0 win over Bengaluru FC colts, Minerva will now face another Bengaluru side Ozone FC, who defeated Shillong Lajong FC in the first semi-final. Both the teams started on a cautious note playing end to end football but failing to break opposition defence. Minerva seemed a slightly a better side having managed a couple of shots that went off target. But in the 22nd minute, Minerva forward went down injured as he was soon replaced by Nongdamba Naorem. Soon BFC came in the game with midfielder Amay Morajkar pulling the strings but in the end failing to break the deadlock. Both teams entered the break at score 0-0. The second half started with blues looking to attack the right but it was Minerva that took the lead in the 50th minute. Striker Sahajahan’s perfect corner found substitute Nongdamba in place as he headed the ball straight into the net. Blues started to attack in search of equaliser with a flurry of attacks but Minerva defence held on. In the last ten minutes, Bengaluru boys came very close in finding the net with a couple of free-kicks and some corners but failed to make any difference on the score-line. In the first minute of injury time, Minerva had a chance to finish off the game with two close-range efforts being brilliantly saved by Blues defence. Minerva held on to the lead for the final few minutes without much trouble as the game ended 1-0. Minerva Punjab will now face Ozone FC for the final of Nile Premier Cup on 10th Feb.